Where Will Microsoft Find the Customers for Windows Phone 7? Existing customers that are going to switch from an older product to the new one. Customers using competing products that can be convinced to switch. Let's look at each of these categories in turn. Starting with first principles, I think any product vendor that wants to be successful needs to keep their existing customers, and, hopefully, have them switch over to their new product. For Microsoft, this means they will have to have success getting existing Windows Phone 6.x.x customers to move to WP7. Is this a slam dunk? Unfortunately, I think not as there will be some challenges here relating to WP7 taking a very different tack from the direction Windows Phone 6.x.x has been heading in the last few years. Whereas Windows Phone 6.x.x handsets are highly varied, enable and allow huge amounts of customization, and are a veritable toolbox of options for developers, the new WP7 platform is more restricted in hardware variability, has a controlled interface, and is a new, more restricted, and less mature platform for developers. The net impact of this is that for some existing customers the new platform represents a step backwards, not forward. How many potential customers does this represent? It's hard to know for sure, but I don't think the numbers is insignificant. The commentary that I believe prevails is that while many existing customers believe they understand why Microsoft is making the moves it is, they are not super excited to give up the plethora of custom applications they have accumulated (or at least have access to) over the years. Clearly some will switch, but I'm not convinced it will be a wholesale movement over to the new platform. Let's be honest here. I don't think there will be a lot of iPhone users rushing over to the WP7 camp. With the iPhone 4 now out, and as evidenced by the sales numbers Apple is putting up with it, I just don't see a lot of people moving from that platform. So that means Microsoft will need to get BlackBerry, Symbian, Android and other platform users to make the move. Android users will be problematic as that platform is clearly on the upswing and, in my opinion, is showing compelling growth and interest. Ask yourself how many Android users you know that are anxious to leave their smartphones for another competing platform? That leaves us with BlackBerry, Symbian and a handful of other platform users that are ready to move. There are a few problems that Microsoft will have with the BlackBerry users that they'd like to see switch over. First, many BlackBerry users have been issued their phones by their employer, and they don't really have a say in the matter anyway. I suspect these employers will take a wait and see attitude, and will be reticent to move from the BlackBerry platform they have comfort in supporting. Second, the BlackBerry platform has a strong hold amongst business users that have been well served by the platform's dexterity with e-mail. Where the door is open a crack is with BlackBerry users in small- and medium-sized businesses, or individuals who have purchased BlackBerrys, that have lost interest in where RIM is taking the platform. I believe there are a number of these customers (I am one of them) and I think RIM is not showing them a compelling enough future to stay around. Case in point: I know many people who are so fed up with the BlackBerry's Internet browsing issues that they are ripe to move on. The question, however, will these people be willing to move to WP7, or will they head to the iPhone or Android camps? This category represents the great unknown. Despite the huge numbers of smartphone users "out there", if you look at the macro statistics there is still a huge nascent market to tap into. This category could also certainly include feature phone users that are ready to move up to a smartphone. Is this the great opportunity that awaits Microsoft? How big is this category? Regardless of which category customers are going to come from, I believe there are a few imperatives for Microsoft to "get right" if they plan to have success with the new WP7 platform. First, the core functionality of the phone has to be absolutely spot on at release. In my opinion the core functionality will include the phone application, e-mail, contacts, calendar, and web browser. If these core pieces falter at all, there could be trouble around the corner. Second, The Total User Experience (see my article on TXI) will need to meet or exceed the potential customer's initial expectation. What does this mean? It means that their experience with the phone when they try it out for the first time must be a "wow" experience (because, almost certainly, their expectation is that using the phone will be "different and wonderful"), and thereafter as they try out the core functionality they can't walk away thinking "that won't work for me". There's not much leeway here. Microsoft has a big challenge on their hands to find WP7 customers and it will be quite exciting to see if they are up to the challenge. I'll be honest, I'm torn about whether they can do it or not, but I will reserve judgment until I perform my own tests and experience the platform first hand. That experience will help me asses how many people I think will be swayed into purchasing a WP7 smartphone. The TXI factor will be important, and will include the potential customer's experience with Microsoft's marketing campaign, public sentiment, industry viewpoints, and, of course, their own experience. Join the discussion and let me know where you think Microsoft will find the customers for WP7. Brad Wasson is a self-confessed technology enthusiast and management consultant living in Atlantic Canada. Brad dabbles in all things digital, and is looking forward to his next new smartphone, laptop, desktop, home theater, and any other gadgets he can fit in the house. Exactly right. WM did not have the glitz of the iphone but it was, overall a better platform for knowledgeable users and if you happened to have a little programming experience it could be made to do just about anything. C# should have been included free with each phone. Apple touted the number of apps available but up until recently there were few things iphone could do WM did not and most applications were free. Microsoft listened to the press and was told Apple was the best so... what product do we have? We have Windows iPhone. This may be great for someone looking for a pretty face but I'm in need of a hard working tool that has the power and versatility to do a days work. I waited and read rumors until a month ago when, I decided it was time to leave. I purchased an Android based EVO and a set of Android programming books. Android is locked down more then WM but not nearly as badly as the competition. At least I can write and install my own custom application's without MS or Apples approval. Android has potential and I hope in a few years it will be better then WM was. As to attracting customers from other sources I do not think there is a compelling differentiation in WP7 to attract a large customer base and without the customer base the Apps will not be there and without Apps I think MS has another Kin on its hands. I'm one of the existing customers, going back to first Pocket PCs in 2000 and using phone editions since 2004. For me, Microsoft story is over, at least for a while. I have tested different Android devices in last couple of weeks and it's just way better than existing WM, as for WP7, at least for me it doesn't hold anything that would keep me from switching. For one, I'll have to replace all my existing applications anyway and at least with Android I allready have 90% of the stuff available (Pocket Informant for instance will be available in the fall) while for WP7 there is pretty much nothing and the question is when if ever certain things will be available (again, PI could be available sometime in the future but there are no promises). So what you end up with is a locked down platform, with new (and really nice) interface and quite a few missing features, not beeing able to run navigation in the background in 2011 is just sad, although it's a question when a good navigation app will be available for the platform anyway. I could come back sometime in the future, when Microsoft updates the platform, the bugs and kinks are ironed out and the software becomes available, but for the next couple of years they lost me. Well, while I'm a big Android fan I think WinPhone7 will be a little easier to use than Android. I really don't like the iPhone. Based on what I know now I would recommend WinPhone7 over the iPhone if the person doesn't really care about apps. I think of your three categories, you can pretty much cross off category 2 because most of them either have iPhones or Android and are very happy with their current device or want more of the same in a new device. The problem with the other two categories is many of them will not be interested in paying $15-30 extra for a data plan, and not even getting texting, period. You can cross them off. The other thing really hurting Microsoft is as they wait to release, more and more hit phones are coming out: Evo, iPhone 4, Droid Incredible, Droid X, a Samsung Galaxy S for each carrier in the US which could be a hit, and the Droid 2 coming out next month which probably will be a hit. With at least each of the Android phones, droves of people have jumped to Android. The iPhone is well established and by the end of this summer nearly everyone thinking of getting a high end smartphone will have one. I think your overall question is a great one. Sometimes I wonder if Microsoft considered it. It will be interesting to find out who will buy Windows Phone 7 devices. Interesting thoughts Brad. I think you are close but it is really dangerous to generalize about large numbers of people. For example, I think there are many iPhone users who would be willing to give WP7 a try. Microsoft will apparently have the advantage of carriers other than AT&T. If I am a first or second generation iPhone user that just hates AT&T, I am a potential switcher. Not every iPhone user is as passionately connected to the company as some of the people who post on tech blogs, many are just everyday folks who were attracted to the unique nature of the iPhone or because they had a iPod. WP7 offers up something very much as unique and new as the first iPhone did. I know the WP7 UI doesn't appeal to all, but believe it or not, neither does the iPhone UI have a universal appeal. I agree with you that power users of WMx will be slower to switch to WP7. I use my WMx phone a lot each day, but I guess I am not a power user because I will switch to WP7 the moment I can get my hands on one. I don't have more than one or two apps on my phone and I won't mind losing them. I suspect there are more WMx users in my camp than you might think. And finally, you hit on the big potential market that I believe is potential gold mine for WP7- those millions upon millions using the world's most popular mobile OS- Symbian. I think seeing WP7 added to the smartphone world and the heavy marketing that had darn well better be part of Microsoft's WP7 strategy, will remind many feature phone owners who already notice the iPhone and Droid ads "oh, there's another one of those smartphones now. These things are everywhere. I think I'll check it out." There is a lot that can go wrong so I respect the skepticism I read here and other places. But WP7 is a compelling product. It won't work for everyone, but we don't seem to hold Google or Apple to that standard. I remain confident that this will be a successful product. It won't capture the market with version 1, but it doesn't have to capture the market to be a success. 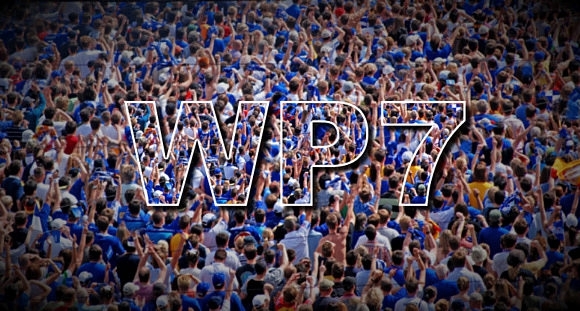 As an existing WM user, I am definitely looking to get WP7 when it is released. I've been very happy with WM, and I know that there will be some areas where the restrictions of WP7 will get in the way compared to WM, but I'm hopeful that the developer base will have a large enough selection of apps that most of it won't be a problem for me. On the plus side for WP7, I am looking forward to the Zune functionality and also at considering the monthly Zune Pass bundle. I think that if MS have got the hardware spec right, WP7 will be more media capable than my aging HTC handset. I'm also hoping that there will be decent functionality to allow me to sync/transfer WTV recordings from Media Center over to the phone - something that doesn't work well with WM. I'm keeping a positive attitude on this one. I think that a reboot is clearly needed and this looks like it could be the shot in the arm. It won't be perfect on day 1 but if MS can continue to develop it AND release updates on a somewhat regular basis, I'll be a happy customer.